The establishment of the journalism profession in the DNU was adopted in 1991. It was a multistep process. In January, the order was issued by the university in which the current Dean and then Associate Professor of Foreign Literature, Vladimir Dmitrievich Demchenko was commissioned to create the Department of Journalism. All important steps for this were made in 1991, specialty "Journalism" was the first one, the first graduation of journalists had taken place in four years. In 1996 it was decided to open a new specialty where the qualified personnel would be prepared to work in the international information space: "International Information". As graduates of this specialty were required to have a high knowledge of foreign languages, then the university created a new department of philological and cultural training of journalists. Opening of the second specialty paved the way for a new faculty - Systems and Mass Media. Then there was created another department - linguistic and geographic training of journalists. Since the task set to the newborn faculty was to train specialists in the field of mass-media, it was clear that the target of its attention could not pass the so-called "marketing communication" - advertising and PR. In 1997 the Faculty of systems and means of mass communication began to teach specialists in "Management". And in 1998 appeared producing department of the profession - Management of media, advertising and PR. Since 2007, specialty "Management" was transformed into a specialty "Advertising and PR", which, in turn, joined in "Journalism and information." Specialty "Publishing and Editing" was opened in 2002. 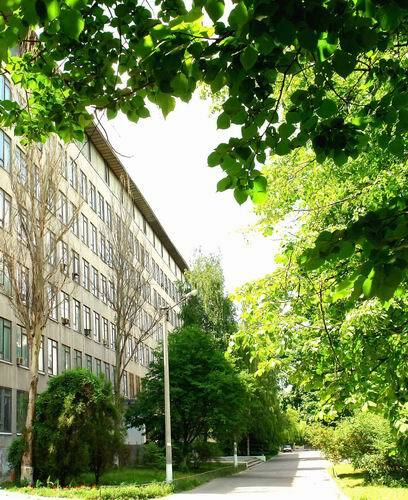 Today the Faculty consists of 3 departments, which employ 35 teachers, 5 of which are doctors, professors; 20 - PhD, associate professors, and 2 laboratories: television, radio and phot and computer technology. The faculty consists of the Department: Media and International Communication, Publishing and Intercultural Communication, advertising and public relations. Dean - Demchenko Volodymyr Dmytrovych, Doctor of Philology, Professor, Honoured Journalist of Ukraine. Dean of Academic Affairs - Lyaschenko Angela Vadymivna, PhD in social communications professor. Deputy Dean for Research and International Cooperation - Sukhenko Inna Mykoliavna, candidate of philological sciences. The faculty prepares specialists in the areas: "Journalism", "Publishing and Editing" , "Advertising and Public Relations". All majoring areas are licensed to train specialists in educational and qualification levels: "Bachelor", "Specialist", "Master". The faculty prepares scientific and pedagogical staff through postgraduate study in "social communication". In the second year of study, the students have practical training in media advertising agencies and advertising departments of media publishing. In the third year - practical training in the majoring area, in the fifth year - pregraduate work in those organizations, which will be future employers of graduates. During the pre-diploma practice students develop practical part of the diploma project, which correlates with the theoretical and practical developments of the chairs. Scientific research at the faculty is conducted within research departments, including the three fundamental ("The current state of the theory and practice of mass communication in Ukraine and abroad," "Communication aspects of modern philology", "Intercultural Communication in the linguistic and geographic research") and 1 applied subject ("Communication aspects of marketing of media"). Results of research conducted within the subjects, were tested at 122 scientific conferences, including 53 international ones. These scientific conferences are held by universities both of Ukraine (Kyiv, Lviv, Odesa, Luhansk, Kharkiv, Donetsk, Sevastopol, Simferopol, Uzhhorod) and foreign ones (including Moscow, St. Petersburg, Minsk). Names of faculty researchers are well known in Ukraine and abroad. Teachers of Faculty in 2009-2010 have published 60 articles. During the timeframe when the Department of Journalism exist (now it is called media and international communication) and the Faculty as a whole, the scientists have devepoled 3 doctoral and 15 candidates dissertations. After the faculty had organized in November 2005 an international scientific conference "Ukrainian journalism and contemporary patterns of global information space" the university has published the issue of collection of scientific papers "Journal of Dnipropetrovsk University. Series in Literature. Journalism." This made it possible to publish the results of research for 89 (!) authors both scholars of the faculty and guests (skilled specialists of the faculties and departments of journalism of universities in Ukraine and abroad: Kyiv, Lviv, Odesa, Kharkiv, Donetsk, Sevastopol, Cherkasy, Simferopol, Moscow, St. Petersburg, Minsk). Holding of such conferences has become a tradition of faculty that corresponds to the status of the faculty, and the educational requirements of the market of Ukraine. Scientists of the university have participated in 74 international conferences. Department continues cooperation with the Free Russian-German institute of journalism of Moscow State University (Moscow, Russia), Russian Institute of training for radio and television (Moscow, Russia), Research Center of Intercultural Communication (VHU, Voronezh, Russia). Faculty supports scientific and methodological connections with Moscow State University, Moscow Linguistic University, Russian State Humanitarian University, St. Petersburg State University, St. Petersburg State Pedagogical University, Minsk State Linguistic University, Belarusian State University, Russian Baltic Institute (Riga, Latvia). The Faculty, together with Odessa National University and the University of Udine (Italy), in conjunction with the Academy of Ukrainian Press (Ukraine), National Union of Advertisers (Ukraine), Federation of the Italian Regions (Italy), House of Advertisers of Slovenia participated in the preparation of international United European project "Tempus / Tacis project" aimed at training specialists in Ukrainian mass media, advertising and public relations. In the future the efforts will be directed to faculty development agreements on scientific cooperation with universities in Italy, Poland, Hungary, Germany, and Portugal. The Faculty of systems and means of mass communication regularly carries out annual Ukrainian student scientific conference "The system of national mass media in contemporary Ukraine: new vision". In 2012, for the ninth time the faculty of talented youth fron the Faculty of systems and means of mass communication and other higher educational institutions of Ukraine gathered at the conference. As a part of this conference there are thematical sessions (Session 1. Trends in the modern world of means of mass communication, Section 2. Regional Features of means of mass communication, Section 3. Intercultural communication and language in mass media; Section 4. Problems of modern marketing communications) and the facilty has carried out overall session on topical issues of media research. Students of the faculty regularly participate in student competition in "Journalism and Information" specialties "Journalism", "Publishing and Editing", "Advertising and Public Relations." As a result of participation in student competition in " Journalism and Information" in 2010 student Nepeypylova (CL-07-1) took second place in the National Student Conference in specialty "Advertising and Public Relations", and student Rozgoniuk (OA-07-1) took second place in the National Student Conference in specialty "Publishing and Editing" (Sumy). Student Y. Stepanchenko is repeated winner (2011, 2012) of Ukrainian Student Olympiad on specialty "Advertising and Public Relations". 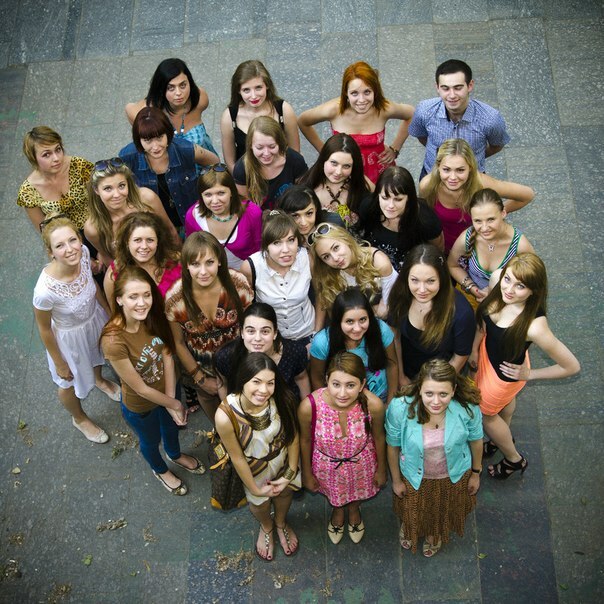 Students represent Dnipropetrovsk National University in communication with other universities. Thus, five students participated in student scientific conference "Youth Journalism in the Euro-Atlantic professional and ethical standards", the Institute of Journalism at Kyiv National University.